No, this is sweet looking! It is about the long-rumoured follow-on to the Yu-6 Heavy Weight Torpedo, reportedly designated the Yu-10. Due to the typical cryptic and inexpressive nature of Chinese military report on which this Gertz article was based, it was largely ignored by the western PLA-Watching community. Again, people didnt know what to do with these pictures and quickly forgot about them. But now, Chinese military forums are buzzing with people discussing recent insider leaks about certain "Yu-8, Yu-9 and Yu-10 torpedos" having finished their trials and are being introduced into service for quite some weeks now. What makes me doubtful at first is that noone has ever heard anything about these designations at all. But now, after consistent buzzing over multiple chinese military BBS boards, and lots of "Big Shrimps" (Chinese term for insiders/leakers with well known credentials) supporting these rumours with selective leaks, I began digging deeper into that matter. In his view, the Yu-10 rumours seem credible, as the PLAN has acknowledged the need for a high-speed and long ranged torpedo that is able to chase down the very fast and deep diving USN Nuclear Attack Submarines, as the previous Yu-3A and Yu-6 family arent all that suitable for that role anymore. Yu-10, the next generation heavy-weight torpedo and the successor of the current Yu-6, was long rumored to be roughly comparable to the Mk-48 Mod-6. Smooth, level-less transition to the different speeds, resulting in low noise emission. The Yu-10 is described to be an "optical-fiber guided long-range high speed torpedo", while the Yu-9 is a "multi-purpose torpedo". The Yu-11 seems to be the follow on to the Yu-7 as the next gen light-weight torpedo possibly for ASW choppers and the surface-vessel's triple launchers. Also interesting that it seems that China's current ASROC is actually not designated CY-3 but Yu-8 (Which was long rumoured to be a new type of heavy torp with a chemical reaction warhead). This would also be in line with the most recent rumours saying that the Yu-8 is indeed that same weapon that we called "CY-3" before. After more than one years of rumors and mysterious official chinese and foreign reports on the development of a new torpedo, the Yu-10's evidence seems to have gained enough evidence to be considered a real thing. Status: offline Thanks added this to our list. I mean look at Yu-6, Chinese-Russian contract for 211TT1 and chinese internet stories about "China fishermans reverse-engineering Mk48,ok ,yes, no no russian involvement"
"UGST and torpedo propulsion system TPS-53 Decree of the President of Russia on September 2, 2003 were included in the list of weapons intended for export. Advertising passport to them was approved 2004 In the media mentioned the contract of "NII Morteplotehniki" with the China State Shipbuilding Corporation"
So, Hongjian, what version circulate in Chinese forums this time? Reverse-engineering DM2-A4? Black Shark IF21? Martians? Status: offline Thanks for reminding me of this important piece of news. I've been wondering for quite a few years about what this Russian purchase package might entail for China's torpedo development. Now, it seems clear that the Yu-10 could at least have technologies of the UGST incorporated. This would give China a very capable heavy weight torpedo. Any speculation about the homing mode? 53-65KE that were also in service in the PLAN since the Kilo purchases in the early 2000s already provided China wake-homing guidance technologies, but the UGST is conventional Active/Passive sonar homing. The seeker on the 'mystery torpedo' looks close to the one on the UGST, at least (with a 'flat face'). 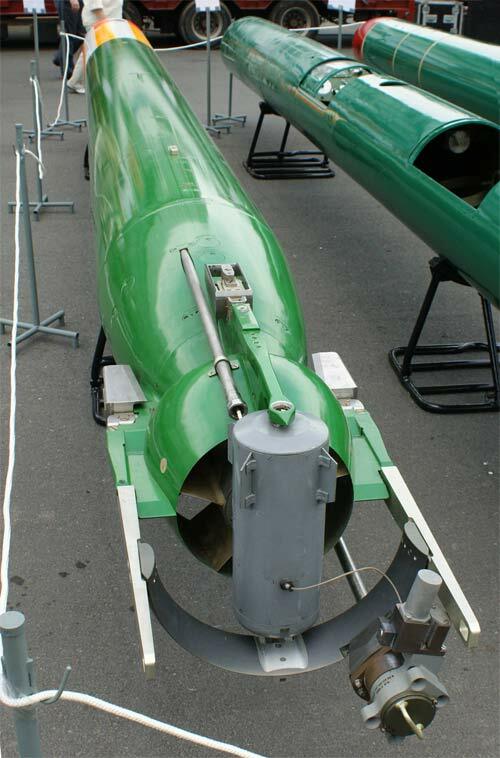 There are actually no rumours regarding the heritage of the Yu-10 torpedo in the Chinese internet boards. Status: offline Active-passive acoustic homing system developing by GKNPC"Region", flat transceiver radiating antenna array with adjustable field of view. Also in the homing head used multichannel active sonars. Status: offline MU90 finally declared operational on NH-90 Caaïman Marine. This Friday, March 13, 2015 will remain an important date for the Cayman Marine who becomes a combat helicopter ASM in its own right following the statement by the General Staff of the Navy of an initial operational capability shot from the MU90 torpedo. This is a major milestone for the torque capability FREMM / Cayman that can now "treat" even more lengthens the latest underwater threats independently. Status: offline I've heard a lot of militaries have been having problems with NH90s. Are they French doing OK with them? Status: offline As far as I know, from Admiral Bruno Thouvenin interviewed in last Air Fan, Step A airframes' availability is around 30-40%. In my opinion, what makes it troublesome is that other helicopters' service life have been extended so much that the pressure is now greater than it should have been on a platform that have been itself delayed and thus is going through its expectable teething problems only now. Status: offline MOSCOW, January 10 - RIA Novosti. Anti-aircraft missile system (AAMS) S-300V4 during tests confirmed the ability to hit air targets up to 400 kilometers, said Saturday the chief of the Air Defense Forces Land Forces of the Russian Federation Lieutenant-General Alexander Leonov. "The system is armed S300V4 two types of missiles: Heavy rocket range destroy air targets up to 400 kilometers, having a hypersonic speed (about 7.5 Mach number), and easy to defeat missiles with a range of 150 kilometers. Military trials, in particular, the shooting in November 2014 showed that S300V4 really capable of hitting aerial targets at a distance of up to 400 kilometers, "- he said on the program " General Staff " on the radio " Russian news service ". "The above properties has hypersonic gas dynamics Surface-to-air missile (SAM) 9M82MV with a top speed of flight 9M and maximum range of up to 350 km without failure in the affected area at altitudes in the atmosphere and in near space. In order to achieve the required efficiency of non-nuclear warheads defeat (MS) medium-range (SD) BR, other small targets (with a minimum effective area of ​​scattering RCS - 0.02 sq. 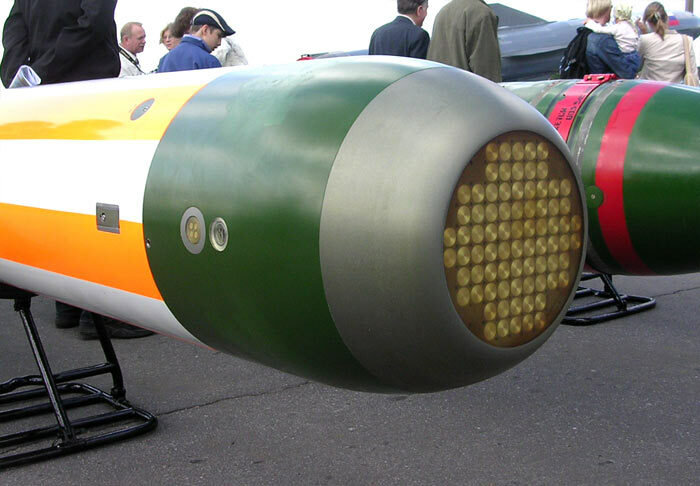 M) SAM has 9M82MV warhead (warhead) aimed to undermine secured expansion fractions submunitions ("heavy" and "light") in a solid angle 60x60 degrees, which increases its effectiveness in comparison with the classical warhead more than six times. 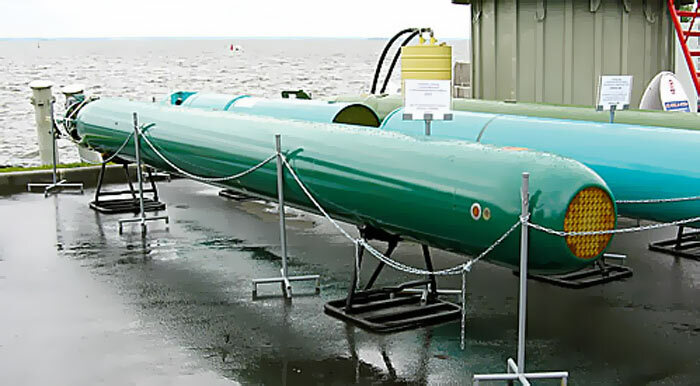 In 2004 and 2006 successfully tested missiles 9M82MV that intercepts targets at an average speed of 2500 m / s flying at speeds of up to 4600 m / s SVKN. Today, the firing of missiles capable 9M82MV AAMS DD S-300VMD, S-300VM "Antey-2500" and S-300V4." Langkawi (Malaysia), March 20 - RIA Novosti. Carrier-based fighters Su-33 will be upgraded and will last ten years, told RIA Novosti on Friday, while the weapon shows LIMA-2015 naval aviation commander of the Navy of the Russian Federation Igor Kozhin. "Su-33 will be upgraded and will last at least to 2025 year. They will be used together with the MiG-29K," - said Kozhin. He noted that the MiG-29K is already beginning to enter the fleet, but so far there is are only training flights. "Su-33 will operate in the far zone defense, the MiG-29K will close the middle zone, near zone will close by the ship's air defense," - said the general. Responding to a question RIA Novosti, Kozhin said that naval command is not planning to use the Yak-130 is based on the aircraft carrier "Admiral Kuznetsov", " Yak-130 is not provided. It is sufficient MiG and Su." MU90 finally declared operational on NH-90 Caaïman Marine. Status: offline I am back from LIMA 2015 defense show. I'll publish a couple more items and pictures early in the week. The RMN is gonna get very capable light frigates.. Images from Chinese military issue websites indicate the Kongjing 500 (KJ-500) airborne early warning and control (AEW&C) aircraft has started to enter service with the People's Liberation Army Air Force (PLAAF). While images of the KJ-500 in the PLAAF paint scheme first appeared in late 2014, the first image of one with an official serial number (30471), confirming its service entry, did not appear until 18 March. First seen in early 2013, the KJ-500 is based on the Shaanxi Aircraft Corporation (SAC) Y-9 four-turboprop transport combined with a fixed phased-array radar developed by the Nanjing Research Institute of Electronic Technology (NRIET, or 14th Institute). Chinese internet sources suggest that while the KJ-500 is smaller in size, electronic advances enable its radar to be as capable as NRIET's fixed array for the KJ-2000 AEW&C system that is fitted to an Ilyushin Il-76 platform. In January 2013 Chinese television reported this radar could track 60 to 100 targets simultaneously out to 470 km. The KJ-500 radar's three arrays are apparently the same size and contained in a saucer-shaped dome with an apparent satellite communications antenna in the middle. Other imagery indicates SAC considered but rejected a teardrop-shaped dome that would have allowed for larger side-looking arrays. The KJ-500 also features two passive electronic intelligence arrays. The KJ-500 apparently will succeed production of the KJ-200 AEW&C system, which uses a linear phased-array radar that is strikingly similar to the Saab Erieye radar but that allows only for a 240° field of view. Status: offline According to the decree of Vladimir Putin, dated 31 March, 100% minus 1 share of "Gidropribor" will be included as a contribution of the Russian Federation to the share capital of Tactical Missiles Corporation(KTRV). The government should carry out all the necessary procedures within 18 months. The document states that the reorganization is needed "to improve the efficiency of state policy in the field of integrated structures defense industry." If this true, that means "War with Hydra" event is over and KTRV (creators of "Paket" system) + Dagdisel (creators of UGST) is win. Status: offline Looks like the newly spotted Shang-class SSNs with the prospective VLS hump are getting quite some attention lately. The Chinese Navy is preparing to commission three new, nuclear-powered attack submarines with a vertical launching system able to fire supersonic anti-ship missiles, a report from China Daily said. The China Central Television showed satellite pictures earlier this week of the three submarines anchored at an unidentified port claiming that the new submarines are China’s most advanced Type-093G attack submarines. “The Type-093G is reported to be an upgraded version of Type-093, China’s second-generation nuclear-powered attack submarine, which entered active service several years ago. With a teardrop hull, the submarine is longer than its predecessor and has a vertical launching system,” according to the China Daily report. The Chinese navy’s website said the new variant is engineered to reduce noise, improve speed and mobility and fire China’s latest YJ-18 supersonic anti-ship missile, according to the report. The Y-8Q will become a significant part of China's emerging ASW operations. Its 5,000km range, wide sensor and weapon range and massive payload will exponentially increase Chinese security against enemy submarines off its coasts and into the East and South China Seas. When combined with other ASW assets, such as underwater drones, missile launched torpedoes and sonar towing Type 065 corvettes, it could make current and planned regional investment into submarines by China's neighbors more of a risky proposition. The Y-8FQ is based on the Y-8 Transport aircraft by Shaanxi Aircraft Company, equipped with four WJ-6C turbofan engines with 6-bladed propellers. The tail of the plane has been modified to improve handling at low speed and low altitude as request by Maritime Patrol Aircrafts mission profiles, when on ASW missions. On such mission the MPA would use its MAD (Magnetic Anomaly Detector) boom to detect submarines. This boom is clearly noticeable at the tail of the Y-8FQ. From the picture above, we can note that the Y-8FQ is fitted with a chin radome probably housing some kind of maritime surveillance radar. It is also fitted with an Optronics turret and several antennas both at the top and at the bottom of the fuselage. Finally, note the weapon bay doors just in front of the main landing gear, as well as the large bulbous window at the rear for visual observation. All in all this new Y-8FQ Cub/High New 6 Maritime Patrol Aircraft has all the attributes of a capable MPA like the P-3 Orion, Atlantique II or IL-38. 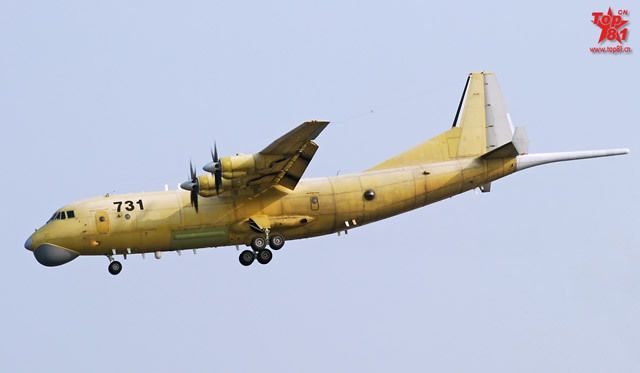 The first Y-8FQ MPA will likely be operated by 2nd Naval Aviation Division 6th Regiment Dalian-Tuchengzi. In 1986, two engineers from Beijing's Ministry of Aviation visited Lockheed. They could not speak very much English, and the Lockheed-Georgia sales person who met them could not speak Chinese. So for half a day, they did a point-and-grunt tour until they were lucky enough to find a Lockheed employee who could speak Chinese. The Chinese wanted to purchase Lockheed wind tunnel testing on the Y-8 in order to address the stall problem. As a result of these wind tunnel tests, conducted in 1986, Lockheed was given a contract to do a flight test series on the Y-8. Lockheed was told that flight test data was not provided by the Soviets when they helped China build the Y-8 factory. The flight test series was flown by Lockheed test pilot Hank Dees. Hank had flown the test flight series for the Lockheed L-1011 and later for China's Y-12 in Harbin. During this flight test series, Hank Dees flew the aircraft to stall speed and taught Chinese pilots how to anticipate a stall in order to prevent letting the aircraft go inverted. As a result of this test flight series, Chinese pilots started to use the 45 degree flap position. Lockheed's motive for doing flight tests was to demonstrate that China would be better off buying the C-130 rather than trying to improve the Y-8. China did buy C-130's, but the flight test series actually demonstrated that the Y-8 was a more capable aircraft than previously believed. In the late 1980s, Lockheed Martin, the American manufacturer of the C-130 Hercules, helped China to develop a pressurized cabin for the passenger version of Y-8, resulting in two versions: the first had half of the cabin pressurized and later, the second version in which the complete cabin was pressurized. In 2001 and 2002, new consulting arrangements between Antonov and Shaanxi resulted in modernized redesigns to the Y-8's wing and fuselage. As a consequence the redesign allows the Y-8's fuel capacity to be increased by 50 percent. also there is order about "evaluation of perspective air group composition"
When you consider that this UAV is not only unmanned, but is actually tanking autonomously, the real amazement should set in. Coming to a USN carrier near you! The Navy has already made the statement that it has already purchased it's last manned fighter. I can't wait to see their next, bigger, more capable version of it, the X-47C! The future IS now! Yes, you are right, this is fantastic. I marvel at technology. But call me sentimental - with the removal of a pilot, I think we have lost something here. Don't get me wrong, I see all the advantages - from safety, cost and training to the limitations of human pilot, but who will be tomorrow's aces? Who will be tomorrow's Reb Barrons? I know war is not romantic, but many of our heroes come out of combat. Will we give great honor to a pilot in a trailer somewhere in Nevada? Probably, but it still misses something for me. I know it is the way of the future, but having robots fight and kill for us seems to ring of some apocalyptic stories we've heard. At least when there is human loss in war, it makes the sides push harder to win and bring it to an end; or it makes a side cede to the other. I do not say all this to aggrandize war and combat, nor am I unhappy that we have such technology. It just seems like something will be lost when the last fighter pilot hangs up his helmet. Well, I'm one of those weird types that is all about numbers and hard cold math. The advantages outweigh the disadvantages, therefore it's a foregone conclusion. We do the drone thing. Is it stoic and glamorous to fly a drone? Perhaps not. But is it the way that the future is headed? Yes, absolutely. Times change. 100% agreed. I can't dispute any of your points - but I don't know, it just kind of makes me feel sad. I know, weird. Edit: Repredentative of the Finnish Navy said in a press conference that the underwater detection definately was not a biologic. According to an official statement by the French presidency, Qatar announced today its intention to purchase the Dassault Rafale multirole fighter aircraft, for a total amount of about 6.3 billion euros ($7.06 billion). The Emir of the state of Qatar Sheikh Tamim bin Hamad bin Khalifa Al Thani confirmed over the phone yesterday to French president François Hollande his intention to procure 24 fighter aircraft, with an option for 12 other planes. Fourth Project 636.3 Varshavyanka class SSK Launched by Russia's JSC "Admiralty Shipyards"
Status: offline China has just test-flown a new Flanker variant: The J-11D. Furthermore, it appears to be using Chinese WS-10 Block II (dubbed "Black Taihang") engines with uprated thrust of 140 kn. It is believed that the J-11D is the main reason for the Chinese unwillingness to purchase the Su-35S offered by Russia for some years. The J-11D would have, minus the 117S TVC-capable engine, comparable capabilities while being 100% indigenious in terms of avionics, datalink, spare parts and munitions. 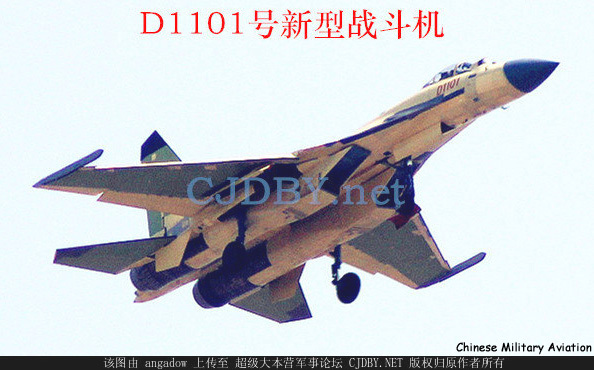 A retrofit of existing J-11Bs to J-11D standard is also being rumoured.